well, we’re heading into a crazy polarizing holiday weekend that, let’s be honest, does anyone really love? lots of expectation and materialism. bah. i say take time out to treat yourself. kick back with netflix and have some fresh, hot cookies delivered to your front door. first off, how’s your new retail space? new space is amazing. i was so fortunate to find great people who were willing to share their kitchen with me as i was starting out but being able to bake all day uninhibited is definitely where it’s at. our space isn’t huge but it gets the job done and we know how to appreciate having some place that is our own. i love being able to see and chat with people that love our cookies as well. previously, it was only the delivery drivers that got to meet our cookie lovers but now the smiles fill up our store and it is a blast to be a part of. has that widened your delivery availability? no, it’s actually shrunk our delivery radius for two reasons: first, we don’t have as easy access to the highway as we did so covering miles is a little more difficult. second, we have a place where people can come pick up cookies now. previously, we had no drop-in availability so if people wanted our cookies, they had to get them delivered. now, they can come to us, too. the united states spends $550 million annually on oreos alone. when jake’s bakes reaches those numbers, where will you vacation you think? $550 million, huh? think i could probably splurge for a plane ticket to the coast instead of driving at that point. liz and i enjoy warm weather so how about bora bora? that’s a bucket lister. ever thought of offering a gluten-free option? yes, i’ve experimented previously but opening a store got in the way of testing. it’s still in the idea file. i’ve been asked more than once about offering some. any big holiday specials for valentines this weekend? no specials. these few days are some of our busiest of the year already! 1-driving into nashville, one of the first things you’re likely to see are cranes going up everywhere. it’s not just downtown either. midtown is seeing a huge growth spurt. virgin released renderings this week of their upcoming music row location. the 240-unit hotel will include 15 residential penthouses, rooftop pool, gym, wellness center & 14,000 square feet of meeting space. the ground floor will feature the commons club, a “hybrid bar/lounge with a laidback study and restaurant with the vibe of a membership club except without the fees.” expect virgin nashville to open its doors fall 2016. 2–skyhouse, a new 25-story, 352-unit luxury apartment high rise, is proposed to be located on the corner of broadway and 17th avenue. the building will also include more than 10,600-square-feet of ground level retail and a 25th floor clubhouse, fitness center, pool and an outdoor plaza boasting 360-degree views of the city. 3-if all gets approved, m residences, a 19-story 300-unit, mixed-use apartment building by lennar multifamily will rise on 19th avenue south. the street level will offer retail space on 19th and a 4,000 square foot restaurant space on the corner of 19th and chet atkins. 4-where division, broadway and 21st avenue all meet lies the upcoming buckingham midtown project. the 17-story development will include a 180-room kimpton hotel, 350 apartments, 35,000 square feet of ground-level retail, 630 parking spaces and 6,500 square feet of meeting space. completion is set for early 2017. 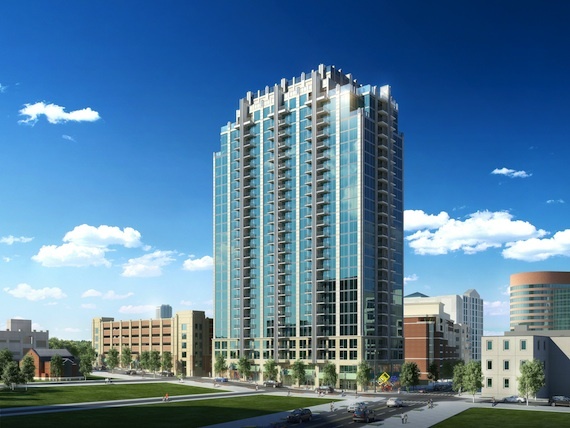 5–HCA broke ground last fall on a 16-story north gulch mixed-use development. over 500,000 square feet of the building’s office space will headquarter two of HCA’s subsidiaries, sarah cannon research and parallon business solutions. hca’s portion is only 10 acres though of the 32.5 acre lot. the rest of the game plan for the project will include up to 1 million square feet of office space, 300,000 square feet of retail, grocery store & restaurant space, sites for two separate hotels and 1,000 apartment units. it will be quite the undertaking. 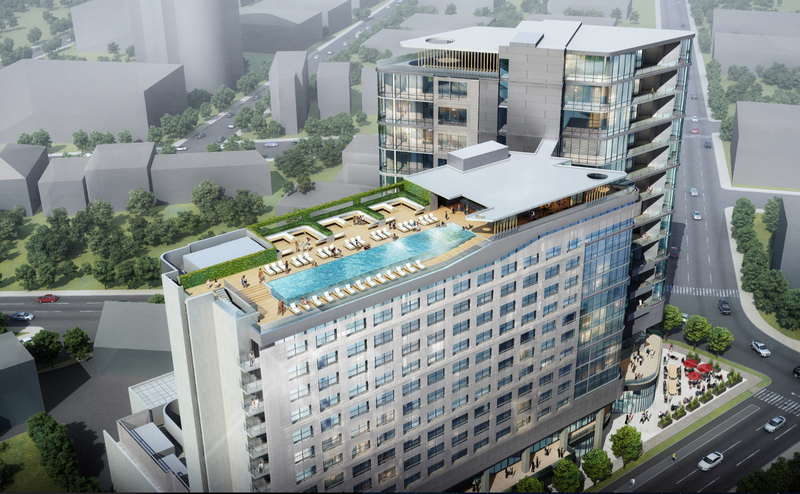 6-a 12-story, 224-unit thompson hotel will be built on the peninsula where 11th & 12th split in the gulch. it will wrap around 404 kitchen and station inn and include boutique retail and restaurant space on the street level. chicago’s famed doughnut vault is one the first signed up. they will sit across from the hotel lobby. the hotel will also feature an indoor/outdoor rooftop equipped with a bar, lounge & venue space for events. recently, a friend of mine accepted a position at a major record label in town. to his surprise, his future boss told him he might have to bring his own desk for his new office. the business is evolving. the music row streets where chet atkins & roy acuff once roamed are becoming quite a different place today. the nashville boom after the recession has investors snatching up land all over the city. with the decline in music sales and as record labels continue to rework a defunct system, developers are seeing the value in recreating music row into what could become a more defined midtown landscape and less of a music row. one of this summer’s hot topics was saving the rich history of the rca building a on 17th avenue. unless someone steps up who is willing to preserve it this week for a mere $5.1 million, tenants will need to vacate by december 1. the owner stated the building was no longer profitable at the current rents with major structural, electrical and plumbing updates necessary to continue operation. that, combined with the building lacking any architectural significance, demolition is probably looming to make way for something new and shinier. 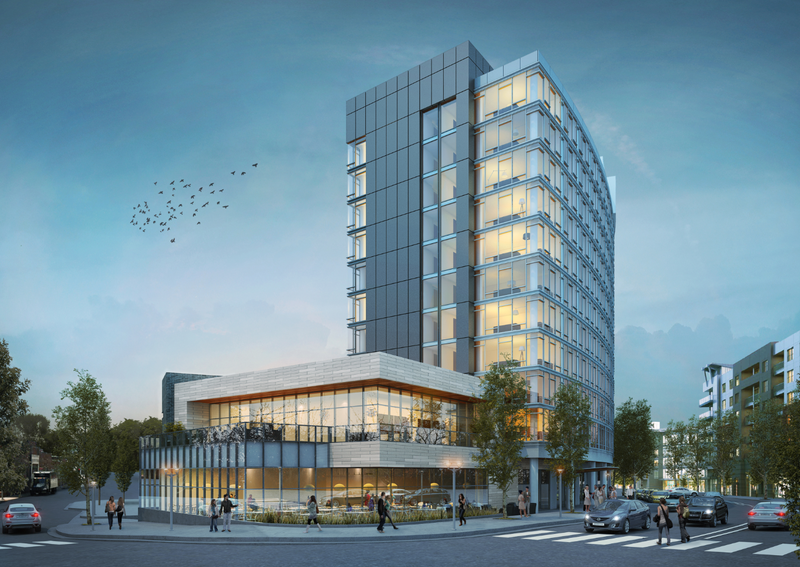 the owner currently hopes to break ground in spring 2015 on a five-story mixed use building with 80 upscale residential condos that will include 2,000 square feet of restaurant space on the street level. he probably has a valid point. the little building that once housed porter wagoners’ old studio was recently torn down to make way for stonehenge real estate group’s artisan on 18th, a 6-story, 153-unit apartment development at 819 18th avenue south. tenants begin moving in this fall. 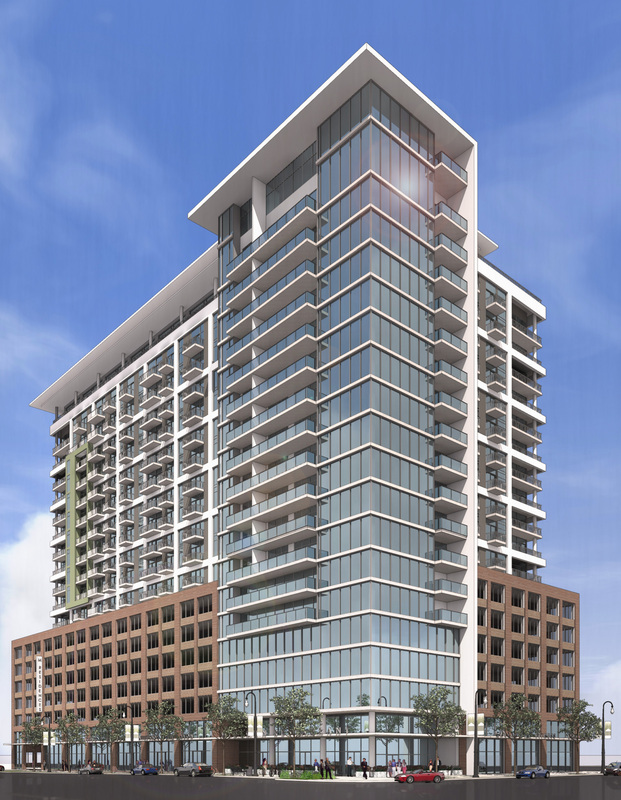 across the alley from artisan, lennar multifamily is throwing its hat in the ring in late summer 2015. if all gets approved, m residences, a 19-story 300-unit, mixed-use apartment building will rise on 19th avenue south. the street level will offer retail space on 19th and a 4,000 square foot restaurant space on the corner of 19th and chet atkins. a block up from rca building a, billionaire entrepreneur richard branson’s virgin hotels announced plans earlier this year to build the company’s third US hotel here in nashville (the others being in new york & los angeles). the 240-room hotel will sit on an acre lot across from the ASCAP building on the corner of 17th avenue & division street. they are shooting for a mid-2016 opening date. skyhouse, a new 25-story, 352-unit luxury apartment high rise, is proposed to be located on the corner of broadway and 17th avenue. the building will also include more than 10,600-square-feet of ground level retail and a 25th floor clubhouse, fitness center, pool and an outdoor plaza boasting 360-degree views of the city. dallas-based developer phoenix property group plans a 194-unit, six-story apartment building on the corner of 16th avenue south and mcgavock street. the building will be called cadence and is aiming for an early 2016 opening date. nashville will always be known for music, even more diverse now than ever before. how we make music and where we make it however, may be changing. and change tends to be inevitable for growth. it’s hard to really grasp the magnitude of this project until you see images like this. once only home to a wendys, ken’s sushi and marios, the new game plan for that site will definitely change the landscape of the corner: a 17-story development that will include over 600,000 square feet of mixed-use space at the intersection of 21st avenue, broadway and division. it was announced earlier this month that a 180-room kimpton hotel will anchor the midtown build. the development will also include 350 apartments, 35,000 square feet of ground-level retail, 630 parking spaces and 6,500 square feet of meeting space. 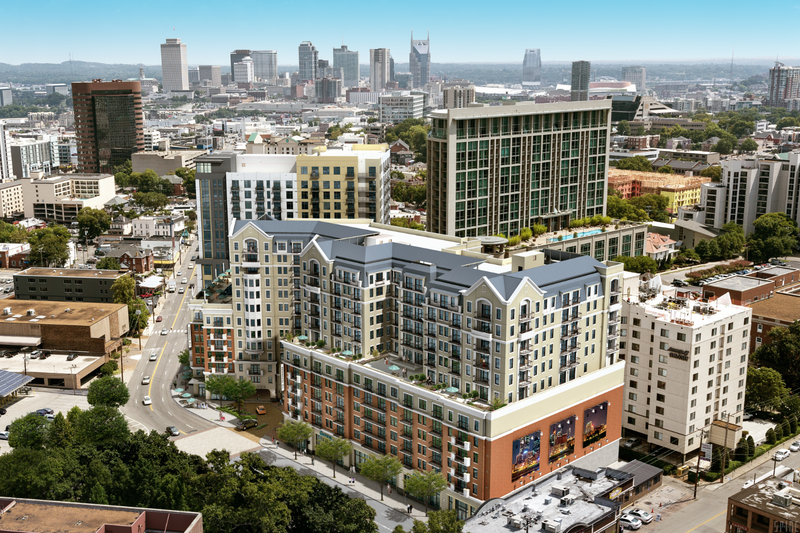 completion is planned for early 2017.
atlanta developer, the novare group, is circling a 1.36 acre midtown site to build a 25-story apartment building. if rezoned later this month (august 28) & the acquisition closes, the corner of 17th & broadway, currently home to the hot pink sub stop building, will be the future home to a high rise called skyhouse nashville. novare group is no stranger to nashville. they teamed up with tony giarrantana to build the 31-story viridian 10 years ago and even went on again to codevelop sobro’s encore. they also converted downtown’s bennie dillon from apartments to condos in the mid-2000s as well. skyhouse will include 352 one-, two- and even three-bedroom units, featuring high-end finishes, floor-to-ceiling windows, and even a bike repair shop and dog wash. the 25th floor will have a clubroom, fitness center, pool, fireplaces, and 360-degree views of the city. they also plan to make the building environmentally sustainable.